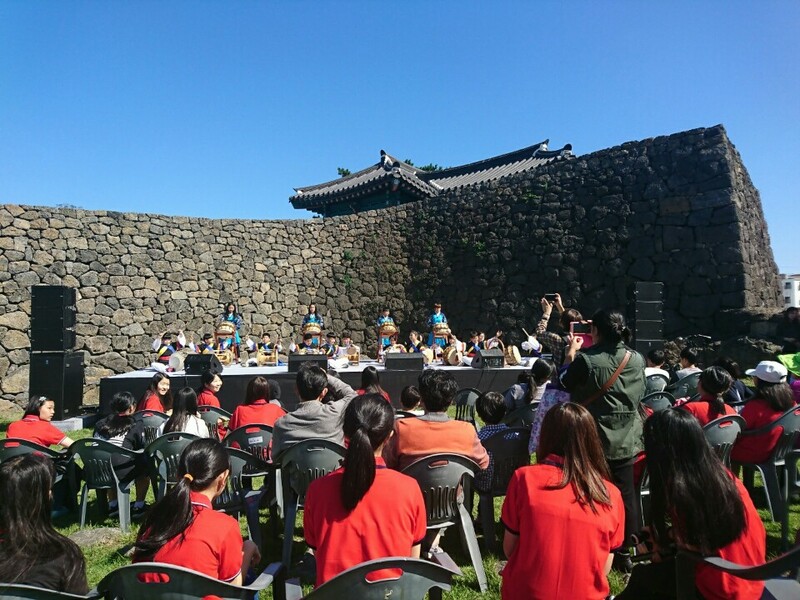 W stage Jeju, the building which was donated by its owner, has recently been renovated and opened in 2016. This is now a World Culture Open (WCO) sponsored cultural space that is open for free public use for cultural and educational purpose. The building used to be Ohyun High School which was the first modern school on Jeju nearby Ohyundan, an area of Jeju’s old town. Ohyun refers to Jeju’s five prominent scholars from the Joseon era. These scholars dedicated their lives to education. Since its opening, the cultural space has been used for diverse community and culture events and programs from performance and exhibition to workshops and lectures. 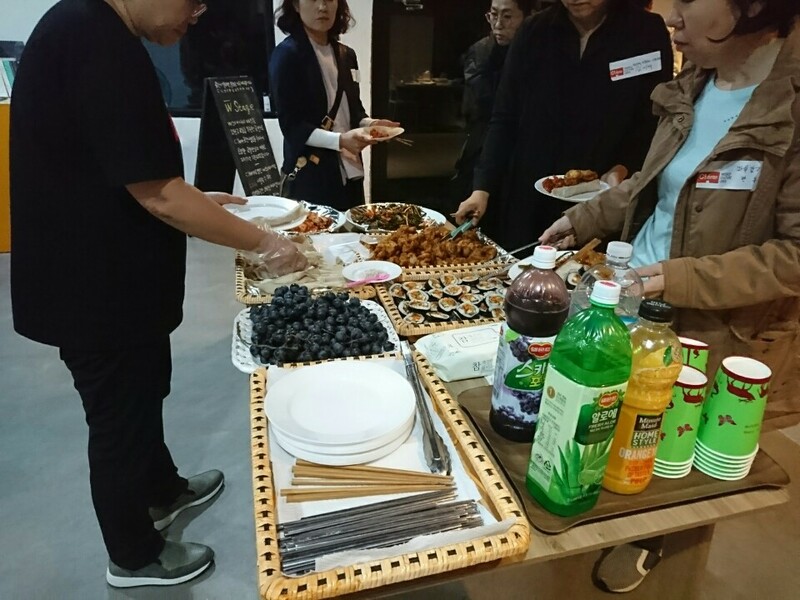 On Oct. 21, WCO’s C!here event took place here which attracted local residents and culture activists. 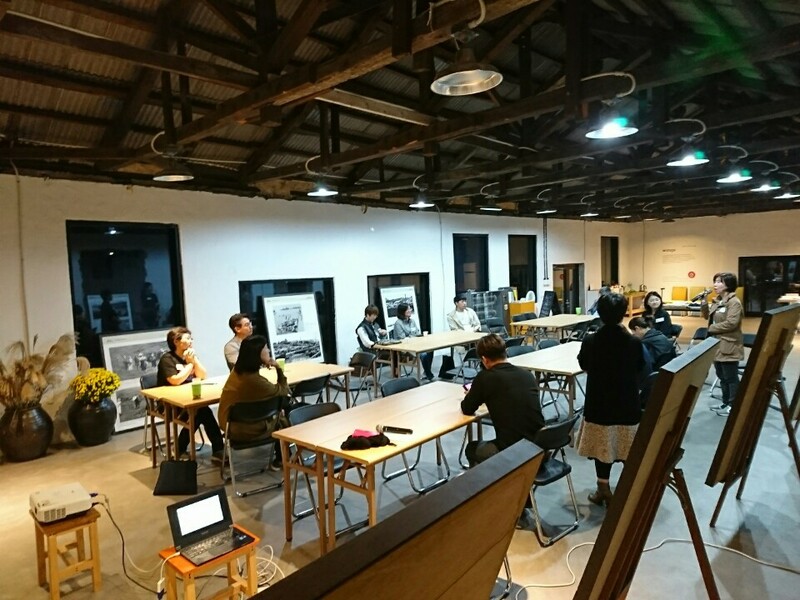 The ‘C!Here’ or ‘Culture Here’ is a space sharing movement which WCO has been continuing for years in both Korea and other countries to promote cultural exchange and diversity. 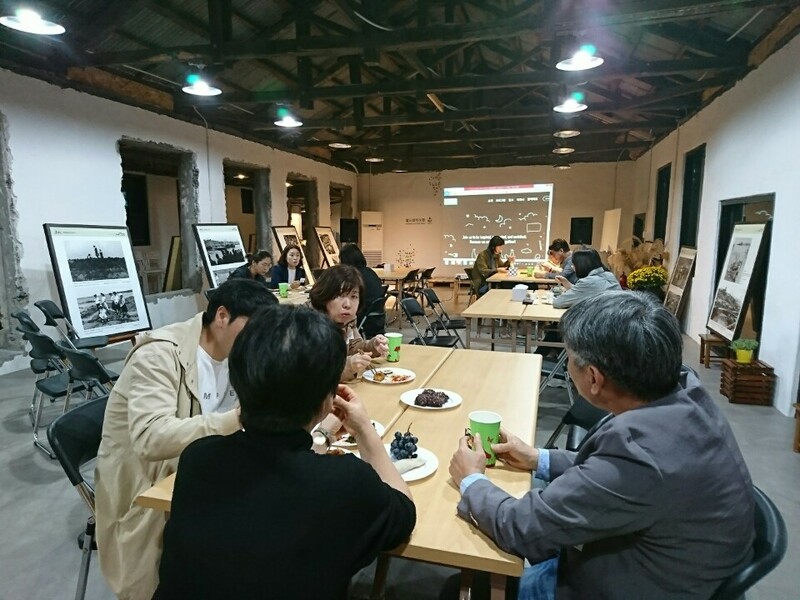 The program of the event at the W stage in Jeju included a photo exhibition which reflect the historic memories of the area (Ido 1dong) and a networking party where participants talk about how to make this space more closed to the community and meaningful. Founded in 2003, World Culture Open is a non-profit organization that promotes cultural diversity and cultural exchanges around the globe. The organization creates an open platform for activists in diverse areas for the public good.